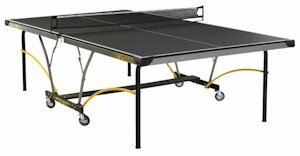 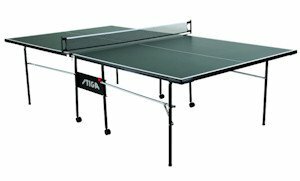 What's The Best Stiga Table Tennis Table? 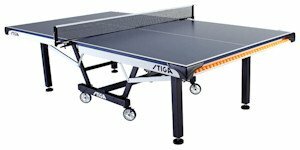 Stiga (pronounced Steega) are renowned for making some of the best table tennis tables you can buy. 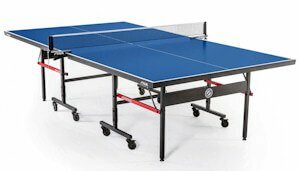 And with a history stretching back to 1934, they've been making table tennis equipment for a long time. 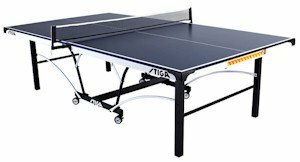 I remember playing on Stiga tables more than any other brand when I first started playing competitive table tennis and they've been a favourite of mine ever since. 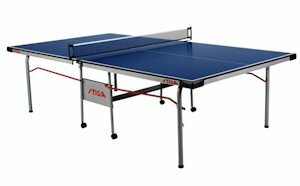 They were the tables of choice at that time and one table tennis club near me even bought the Stiga table used for the World Championships final. 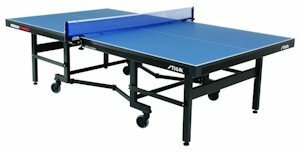 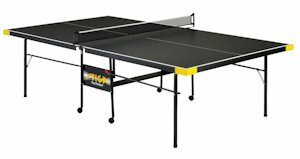 Stiga now have a wide range of table tennis tables and each one is suitable for different situations, so it's important that you know what to look for and what you'll be getting for your money. 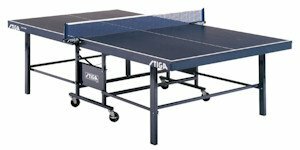 I have therefore summarised each Stiga table for you on this page and when you click on more information you'll find a full description, additional pictures and lots of other information including where you can buy them. 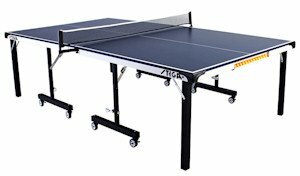 You may also want to read my article explaining how to choose the right table tennis table for you. 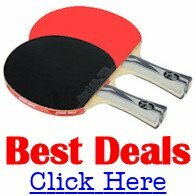 I recommend that you don't buy ANY table tennis table until you've read it. 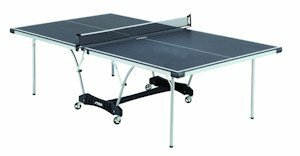 Stiga table tennis tables can be categorised into three sections - Basic, Better and Best. 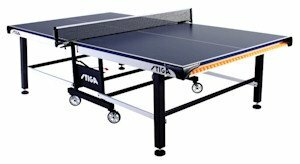 The principle differences between these Stiga indoor table tennis tables is that on the "Basic" tables the playing surface is thinner and the undercarriage is lighter; whilst for the "Better" tables, the playing surface is slightly thicker and the undercarriage is sturdier; whilst the "Best" tables have the thickest playing surface and the most robust undercarriage. 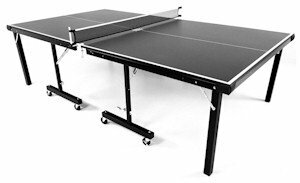 In addition, the very best tables have an ITTF approved net supplied, whilst the Basic and Better tables have a much lower quality net supplied. 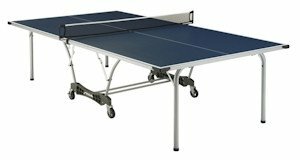 The Stiga outdoor tables have a weatherproof aluminum playing surface which is less prone to warping than indoor tables. 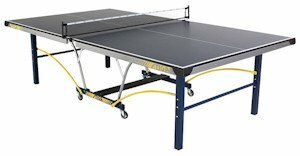 Note: Very few tables have rackets (also known as paddles or bats) and balls supplied as standard, so you'll need to check with your supplier if you need them. 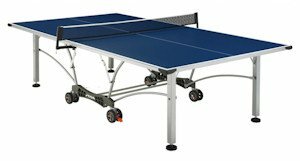 Don't miss my article about how to choose the right table for you. 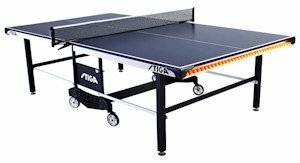 These tables are designated as Recreation tables by Stiga. 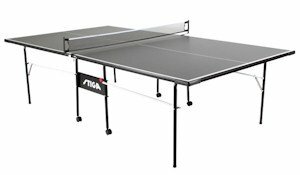 These tables are designated as Competition tables by Stiga. 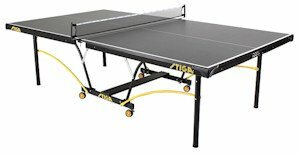 These tables are designated as Tournament tables by Stiga.